In today’s world, traditional colleges and universities are facing a variety of challenges such as higher tuition fees, course shortages as well as budget cuts, meaning students are looking for alternative ways to get their education at a lower rate. With close to three million students currently enrolled in an online program, with a further six million accessing at least one online course in partnership with their degree, it’s clear to see that online education has become one of the leading higher education alternatives. As the reputation of online learning is continually improving, students are choosing to go down this route, enabling them to receive a great standard of education. There is evidence to show that online learning can be just as beneficial and effective as face-to-face learning, and with that in mind, here are 10 advantages of completing an online class. With a wide variety of online career colleges to pick from, covering a broad spectrum of subjects, students have more choice than ever when it comes to finding the right course. Whether it be neuroscience or nursing, there are courses and programs available to suit every kind of learner. What’s more, students can earn every type of academic degree online, from a doctorate to a career certificate. Having an extensive choice means you can pick a degree that’s specific and right for you. When selecting a course, there are various factors that you need to consider first, such as whether you have the right entry requirements. You should also check out the course specifications, so you know what to expect. Each online degree will be different, so picking one that matches your credentials is key. Having an idea of how much coursework is involved is important too. One of the main drawbacks of studying at a traditional college is the rising tuition fees. Therefore, you should consider an online program which can provide you with the education you need at an affordable rate. However, it’s important to bear in mind that some online degrees may be the same cost as what you would find at a traditional college. For those who have picked a cheaper degree, you can find a range of benefits, including no commuting costs and sometimes no need to purchase course materials like textbooks. Also, many colleges accept credits which can be earned via free open online courses. Gaining credits can enable students to fulfill the typical education requirements. Being able to study at home can be fantastic for those who struggle to focus in the classroom. Learning from an environment you feel comfortable in can make you feel more relaxed and help you stay focused on your work. For many online programs, students simply listen to lectures and complete coursework which is electronically sent to them, meaning there is no need to leave work early for class, nor will you need to miss out on important family time. If you are currently working or have other commitments in your day, choosing an on-campus university for your studies may be out of the question. However, with an online program, students can study at their own pace, giving them flexibility and freedom. As students can work and study at their own convenience, this means that you can work alongside your studies. Course materials can be accessed online too, meaning that any special library trips are not needed. Being able to strike the right balance with work, seeing family and friends as well as studying can help you stay on track and complete your degree. For students who are shy or suffer with social anxiety, being in a classroom full of students can be incredibly off putting. With an online course, students can participate in class discussions much more easily than they would in face-to-face sessions. Some learners also report better concentration levels in online programs as they can focus without the need of engaging with others. Students who want to advance in their careers may benefit from completing an online degree. For those who are currently working, there are various courses that you can complete to move up the career ladder in your current profession. Having academic work that you can put on your resume means there are no gaps too. Also, providing evidence of your degree can demonstrate various attractive traits to prospective employers such as ambition, drive and determination which can put you in good stead of securing a job role over competitors. Whether you are working, in-between jobs or taking time out to start a family, an online program can be beneficial for all. There is free online software available such as Join Me or Google Hangout, which you can use to form study groups online. Being able to communicate remotely with others in the same boat as you can be massively beneficial. All you need is a computer or laptop, a headset to talk into, as well as the time to join your peers to swap ideas about coursework or any questions you have about an assignment. Knowing you’re not going through it alone can make all the difference and help make your online degree more enjoyable. If you live in an area that’s prone to thunderstorms and snowstorms, you will know only too well how much of a hassle it is to commute in hazardous conditions. For those attending a traditional college, classes may need to be cancelled because of bad weather. Rather than missing out on important class sessions, online courses are always running regardless, meaning you don’t have to lose out. As you don’t need to commute for lessons, you can save money on fuel costs too. To succeed in even the most basic online program, you will need to have some level of computer skills. As you will be dealing with the software that your online school provides, you will need to get to grips with the different programs and management systems they use. Improving your technical skills can be incredibly useful not only in your studies, but in your future professional career. There are many pieces of software that you will gain knowledge of which will allow you to know how to create and share documents, incorporate audio and video materials into assignments, as well as completing online training sessions. Some online schools also offer their students free iPads or laptops as an extra incentive. For college students who would like to attend summer classes, there are various factors that might not make it possible. If you live too far from a college, taking an online class from an accredited college can be just as beneficial. While studying, you will earn credits which you can then transfer to your primary college. This means that students can earn college credit while on summer vacation. If you have not got into your college of choice or you can’t find a college within a distance that provides the course you want, an online degree may be the best step forward. Once you have decided that an online degree is right for you, it’s important to take your time when browsing through the range of courses on offer. For example, if you wish to enroll in an online nursing program, the Louise Herrington School of Nursing Online may be the perfect option for you. Once on the website, you can get more information on the types of courses available such as an online DNP family nurse practitioner program. If you have any questions about the course, be sure to download their guide which goes into more depth on featured courses and degree outcomes, admission requirements as well as financial aid and tuition information. Having clear objectives and goals for your future is incredibly important, especially from a career point of view. When completing an online degree, you will want to possess the right tools and techniques in order to get the best education possible. To help you stay focused, make sure to find a space in your home that’s quiet, so you can put all your efforts into your coursework. If you work alongside your degree, you will need to allocate time in your day to slot in studying. If you feel there is no time in your schedule to factor in your course, it may not be worth the risk. Being committed and motivated are key traits that will ensure you excel in your online course. 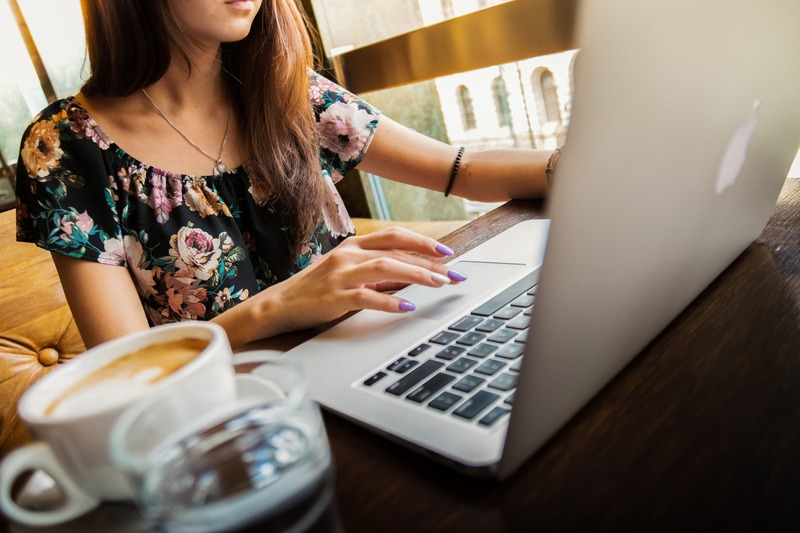 Being able to manage your time effectively, completing assignments at your own leisure as well as not having to commute for your studies are just some benefits that an online class can bring you. What’s more, you will receive the same level of teaching as you would from an on-campus environment. If you want to save money and want a course that can fit into your busy schedule, be sure to check out an online program today.